Upon arrival to Madrid Airport meet and greet by our guide and transfer for the tour of Madrid's most outstanding attractions, like the Puerta del Sol, the magnificent fountains of Nep- tune and Cibeles, the stately Alcala Gate, the busy Gran Via, the Plaza de España and the Plaza de Oriente. Visit the Royal Palace and learn how the queens lived here. Return to your hotel to check-in. In the evening enjoy a dinner at a local restaurant. Overnight. Breakfast. Today you will have the opportunity to experience an exclusive visit of Prado Museum, admire paintings dedicated to women beauty, and create your own masterpiece in a Painting workshop. Afterwards, enjoy some free time on your own. In the afternoon assist to a professional make-up session in the heart of elegant Salamanca district. Later, a hosting dinner experience awaits you! 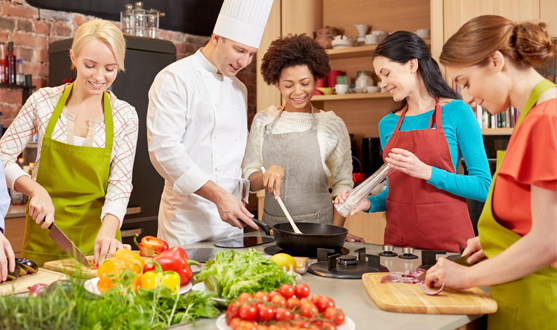 Prepare a typical homemade dinner with a Spanish host and get up close the Spanish way of living. In the late evening, enjoy an aperitif "with view" of cosmopolitan Madrid while sharing dinner experience. Overnight. Breakfast. Departure by train from Madrid to Cordoba. Transfers from railway station to hotel in both cities included. Meet by our local guide and visit the Great Mosque, one of the main attractions of this immensely historical city, designated by UNESCO as a World Heritage. Transfer to Seville and check in at hotel. In the evening, enjoy like a local a typical tapas tour in the city center includes visit to 3 bars with tapas. Overnight. Buffet Breakfast. 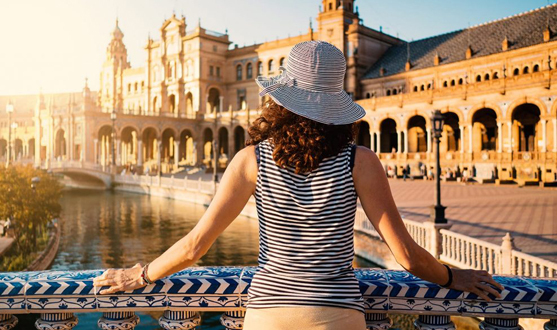 Half day city tour of Seville. Admire its cathedral stands on the site of the Great Mosque of the 12th century but today, the only part which remains of this structure is the minaret, also known as the Giralda due to the weather vane added to the top in the 16th century. Continue your visit comfortably in a peculiar horse-drawn carriages ride. In the afternoon, feel life a real flamenco, enjoying a flamenco dancing lesson. In the evening, experience one of the most typical traditions of Seville by attending a "Tablao Flamenco" and enjoy exquisite dances and delicious "tapas". Overnight. Breakfast. Half day city tour of Cádiz. Founded 3,000 years ago by the Phoenicians, Cádiz is the oldest city in Western Europe. The different peoples who settled here left an important cultural imprint, whose influence still remains in the character of the city's people. This peninsula, right on the Andalusian Atlantic coast, has been able to preserve an important historical legacy the result of its commercial importance together with excellent beaches and an exquisite regional cuisine Depending on the climatic conditions you can spend the afternoon on the beach. Optional: relaxing yoga session or horse ride. In the evening enjoy a dinner at a local restaurant. Overnight. Breakfast. Departure from Cádiz to Granada. Enjoy a walking tour through Al- Bayzin neighborhood, with its deep Arabic flavor, narrow steep streets that are home of "Carmenes" (historic buildings of Moorish origin) and stop by a typical teahouse. Afterwards, relaxing time at "Hammam" (Arab typical baths) and free time for refreshing on your own in the hotel. In the evening, dinner at Carmen restaurant overlooking the splendor of Alhambra. Overnight in Granada. Breakfast. Visit the magnificent Al- Hambra and the Generalife gardens. The Al- Hambra is a beautiful complex of buildings and gardens with leafy tree-lined walkways providing pleasant shade and coolness. The Generalife gardens were partially constructed as far back as 1319, and reflect the old layout of an Arab villa, with their arrangement of patios and viewing points. In the afternoon, departure to Toledo. Dinner and stay at "El Castañar" country house, where products like ham, sausages, sheep cheese "Manchego", virgin olive oil, wine, honey and others are made following traditional methods. Feel like a "Marquise" and enjoy the stay in this special ambience. Overnight. Breakfast. Visit of the Finca and its fauna and flora with an insuperable environmental quality. Departure to Toledo known as the "city of the three cultures", because Christians, Arabs and Jews lived together there for centuries. This great diversity of artistic styles makes the capital of Castile - La Mancha a real open-air museum, which has led to it being declared a World Heritage Site. Visit the Cathedral and Santo Tome Church. In the afternoon, departure to Madrid and shopping at the most famous Spanish mall "El Corte Inglés". Transfer and check in at hotel. Farewell Dinner at Local restaurant. Overnight. Breakfast. Check out at the hotel. Private transfer to Madrid airport and with fond memories take your flight back home. Accommodation in 4 star category. 3 nights in Madrid, 2 nights in Seville, 1 night each in Cadiz, Granada and Toledo. City tour of Madrid and Royal Palace. Paint Workshop, Make up session and prepare a Spanish dinner. Madrid to Cordoba by train. Great mosque and bar hopping in the evening. 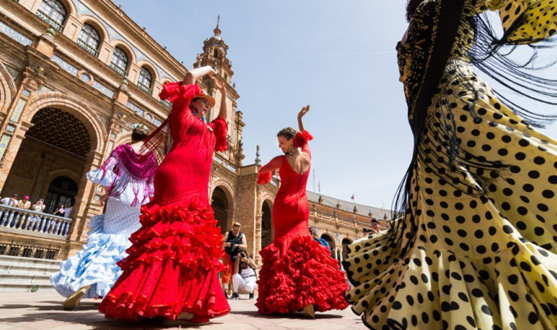 Half day city tour of Seville, ride horse carriage and a flamenco workshop. Half day city tour of Cadiz. Visit Teahouse and Hammam Baths. Half day city tour of Granada. Dinner at the Finca (farmhouse or cottage). Half day city tour of Toledo and shopping in Madrid. Any tips to drivers, in restaurants or hotels. No reservation is being held currently; kindly approve itinerary / cost to enable us to proceed further. Room sizes are small in Europe & some other countries – kindly refer the hotel website for exact room size. Few services like Sagrada, Alhambra etc. which have to be pre-booked, are under 100% cancellation.